By now, we all know that home buyers are using their smartphones to search for information and find properties more than ever. 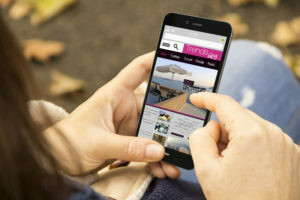 Having a great app to connect with clients and make searching for your home list easy is crucial for your business and its success. But that is just the start. Every day 1,500 apps are being launched on the Apple App Store and Google Play. This makes it challenging to succeed in a world dominated by apps. A clever mobile app marketing strategy puts you ahead of your competition and makes sure users return to your app. You Did Not Plan Ahead – Developing a great app means nothing if no one knows about it. An effective marketing strategy is crucial to ensure your current and potential clients know about your app. Don’t wait until it’s already in the app store. Create a plan now that that will ensure the long term sustainability of your app. Chalk out timelines of how you want to market your app and when at each stage of pre-and-post launch. Ideally, your app marketing strategy should start right after you have developed your app and are ready to go live. The more prepared you are the better chances of launching success. No Research – Finding new potential home buyers is a critical factor on which the success of your app depends on. Understanding the best ways and place to target new clients will be an important factor in your marketing plan. Insights into similar apps in the market and user behavior within these apps will also help you to create a plan that will help you to see success, long-term. Research can help you gauge your target audience and find out how and where to find them. Find out how other successful agents are marketing their app and take into account what works and what doesn’t for them. Optimizing In Store – We all know about SEO but what about ASO. With so many apps in the app store, ASO is critical to your success. For your real estate app to be seen you will need to make sure you know and are using the right keywords in not only your title but in the description in your app page. This can make a huge difference in improving its discoverability. Just like with SEO, this is an on-going process that you will need to test and continually improve on. Simple tricks can be used in ASO strategies, and can offer valuable returns. With so many apps in store, this strategy would be a mistake to skip out on.